This quote from White People Are cowards really caught my attention this week, and I find myself grappling with its compelling message as I trace my handprint once more. This time I used my right hand – my dominant hand – reminding myself that I am one of the privileged and dominant people in our world. 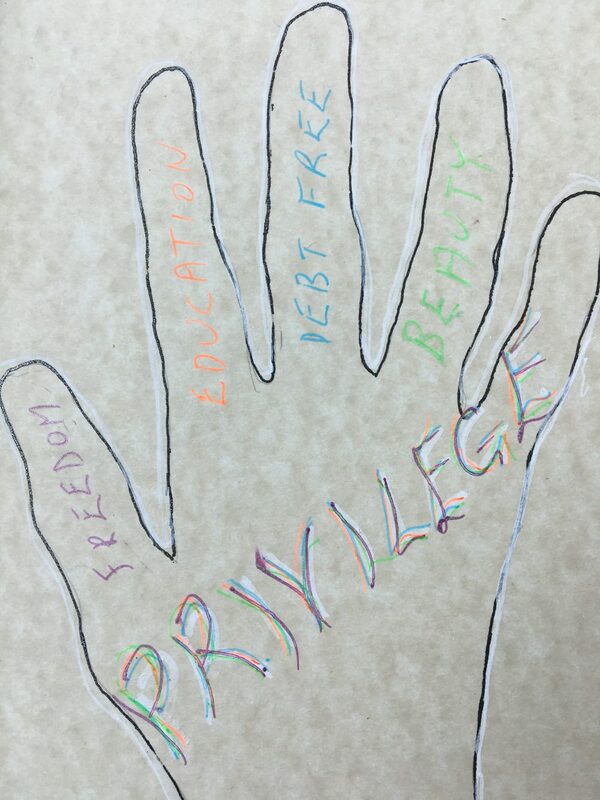 PRIVILEGE – this was the word that came to me as I thought about what shapes my life today. It deluged me, swamping out all other influences in my life. My life is shaped hugely by privilege. As I sit here in my comfortable office looking out towards the Olympic mountains, surrounded by the verdant green and beauty of my garden, I am very aware of it. There is the privilege of WHITENESS which the article above addresses. I thank God for people like Dr Brenda Salter McNeil and the compelling book White Fragility by Robin DiAngelo that help me grapple with issues like this and compel me to respond. Unfortunately white fragility often gets in the way and sends us fleeing in the wrong direction. What is not obvious in the handprint above is that I have surrounded my tracing with a white outline. All the other privileges of my life are in many ways held together by the privilege I enjoy because of my WHITENESS. The privilege of a DEBT FREE LIFE. Believe it or not Tom and I have no debts. My education in Australia was free, which meant I graduated from medical school debt free. Tom bought our house in Seattle when there were signs all over the city saying: Will the last one out of town please turn out the lights. No one thought Seattle would become one of the most expensive cities in the U.S. We have benefited hugely from this wise decision. On top of that, in spite of the fact that I have worked all my life as a volunteer, we are financially secure or as secure as one can be in today’s world.) 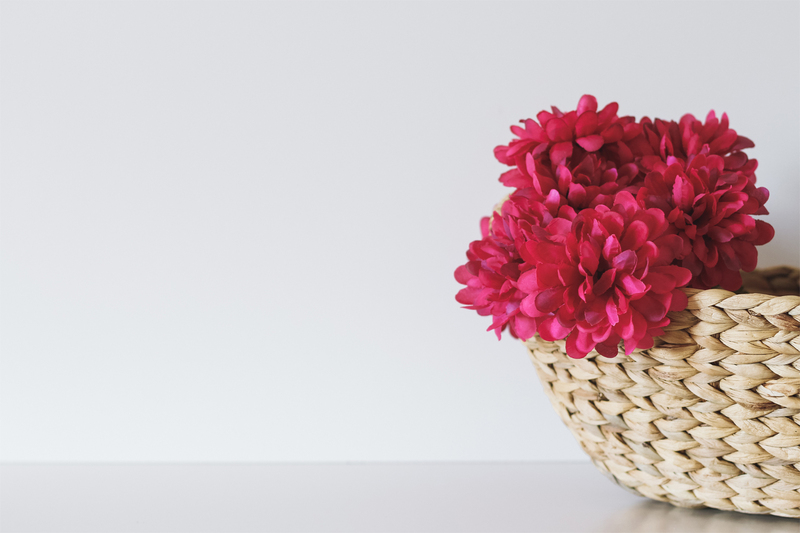 My parents’ frugality left us with a financial legacy that has blessed us in incredible ways. In a world in which a growing number of people, especially young people cannot afford to buy houses we own a house. In the U.S., according to this Harvard study, not only are housing prices increasing but rents are too. People from students to families are living in their cars or on the streets. The privilege of FREEDOM. I was born free and live free. I take for granted that I can travel almost all over the world. I am never questioned at the airport security like many of my African American friends. I am free to practice my religion without sacrifice, unlike my friends in Myanmar, China and other restrictive countries. My days are not haunted by the possibility of war and violence and bombing, a world I caught a glimpse of when I worked with refugees in the 80s and 90s. As a woman too I have freedom beyond what most women know. Yes I have been told that I think more like a man than a woman. Yes as a single woman in medical practice I was told it was wrong for me to earn more than a married man. And yes I have been groped, hassled and looked down upon on numerous occasions but I have always had the freedom to follow my dreams, with the strong support of my husband and friends. The privilege of BEAUTY. There is no doubt about it, the Pacific NW is a beautiful part of God’s creation and I have the privilege of experiencing it every day. All of us struggle with the impact of pollution in our world, pollution which has stripped forests, contaminated soils and devastated communities. We struggle too with the consequences of natural disasters – hurricanes and floods that deluge and destroy, droughts that leave sandy deserts in their wake. All of these my life has only experienced on the margins. The privilege of FRIENDS, FAMILY and COMMUNITY. As I read about the forceable separation of kids from their parents at the U.S. border and watch the flow of refugees across the globe that also separates families and leaves communities devastated, as I reflect on the history of my African American friends whose families were separated by slavery and oppression, I realize I am indeed the most privileged of people. I have family in Australia who become more precious every year. I have friends around the world whose lives continue to challenge and guide me. And I have community here in Seattle – the Mustard Seed House, where we live is divided into three apartments. We live on the middle floor with a family of 4 above us and a young couple below. We share meals and spiritual practices once a week and garden together once a month. It is special, enriching and strengthening of my faith. This week we also hosted two very different groups of people who make me even more aware of this privilege. A group of our friends from here in Seattle, some of whom have known us for 30+ years gathered for our first BBQ of the season. To the mix we added a friend from the U.K and new friends from New Mexico. This was followed by a gathering of friends from the early days of my life on board the mercy ship Anastasis – a special time with friends I knew in Greece in the early 1980s. We shared a Greek feast, memories and fun together. In a world where many people have no enduring friendships I am indeed privileged. How do we break the silence? How do we move beyond our white fragility to build bridges not walls? Everyone who reads this blog is privileged. Maybe you don’t have the privileges I do but I hope that today you will take time to sit in the presence of God and become more aware of your privilege and blessings. What are the privileges that shape your life? Take out your journal and make a list. Now comes the challenging and to be honest scary part. There are consequences to admitting our privilege. It beckons us to respond, to give up our privilege and share its benefits with others. Where have you created walls and not bridges? Where have you kept silent when you should have spoken out? Prayerfully consider how God would ask you to respond. I I am a middle-age white guy who has experienced houseless living; as such i do not feel the privilege. I may be missing something though; i’ll come back to this for review and reflection. In the meantime i whole-heartedly recommend Dr. John M. Perkins’ new work #OneBlood – available on Amazon. Steve, I know that there are many white people who do not share the privileges I do in my life. Generalizing as I realize I have done here always leaves some who feel they are overlooked. I am sorry, but for the majority of my readers I know the reflections here hold true.